Ratha-Yatra Launch Date! April 19, 2015 ~ The Toronto Hare Krishna Temple! With warmer weather (hopefully) approaching, the excitement surrounding the 43rd Annual Festival of India (Ratha-Yatra) will be growing as each day passes! On Sunday, April 19, 2015 will mark the official launch of the countdown to this year's festival! The program will begin at 4:30 pm with a special fire sacrifice to invoke auspiciousness for this year's Festival of India. Everything is completely open to the public! Everyone is welcome! 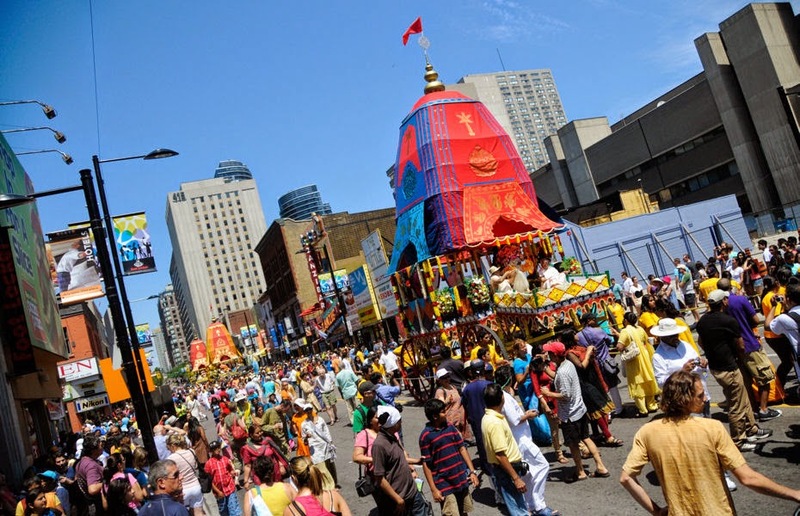 date for shree jagannath rath yatra in toronto...?